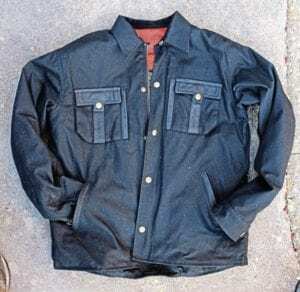 Styled much like a heavy-duty short workshop jacket, this wax cotton shirt from City Of Leather is subtly styled yet has all the protective features that you’d expect from a well-spec’d motorcycle jacket. With shoulder, elbow and back protector all fitted, the lining is also lined with original DuPont Kevlar fabric, and there’s also a waterproof membrane lining to protect against water ingress as well as collisions and road friction. The durable metal zip is covered by a flap, secured by press studs, to stop water seeping through the zip, while the pockets (interior and exterior) are also zipped, as are the air vents on the body and sleeves. As a casual jacket, there are leather details on the pockets, and neat logos on all the buttons, while the safety features and comfort make this an ideal everyday jacket for the classic motorcyclist. 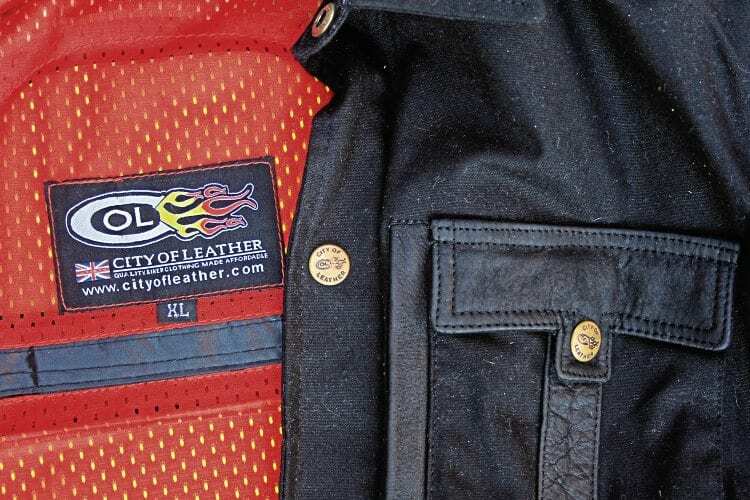 What’s more, it’s available at the incredibly reasonable price of £149.99, and more details can be found at www.cityofleather.com – the website also has a convenient size guide, which shows all the dimensions needed for you to get the perfect fit!